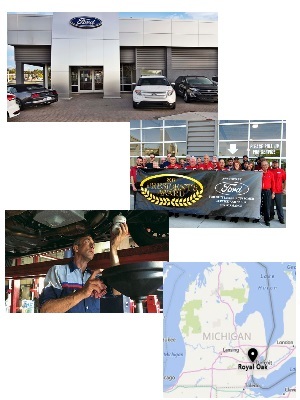 Opportunity and position information: Royal Oak Ford is a top 100 sales dealership in the country. It is located in the heart of the very desirable city of Royal Oak Michigan. Entry level Lube and Tire Technicians needed. This position requires basic mechanical aptitude, and is a perfect opportunity for the right candidates to get into a career in auto repair with a major auto manufacturer. We have openings for full and part time. We offer excellent pay and benefits in a modern facility with the latest equipment. We have an award-winning service department. We offer solid ownership with a stable management staff that appreciates its employees. Please apply to see if we can make you a member of our team.